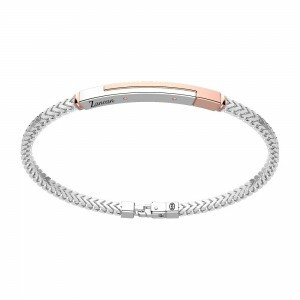 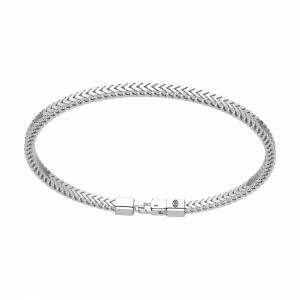 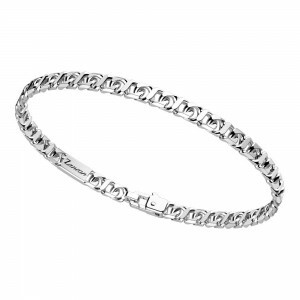 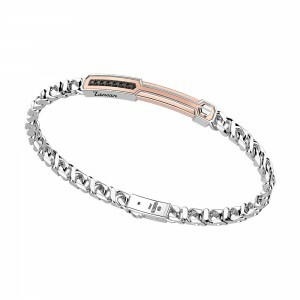 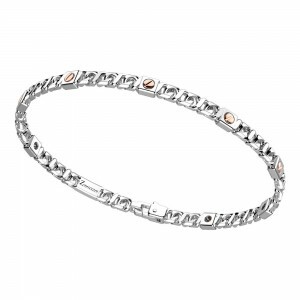 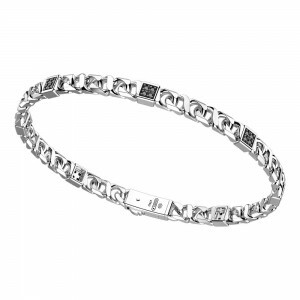 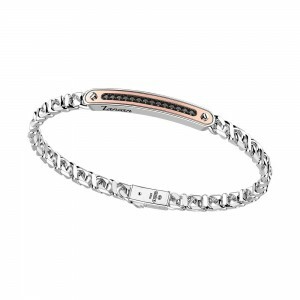 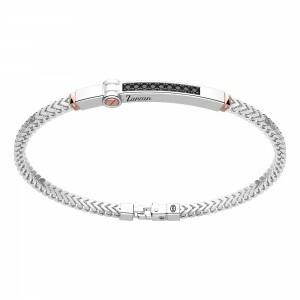 Collections>Alpha>Silver bracelet with rose gold insert and stones. 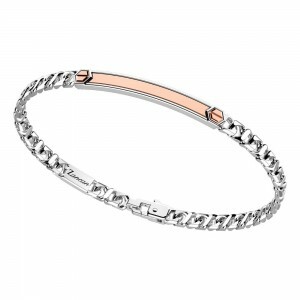 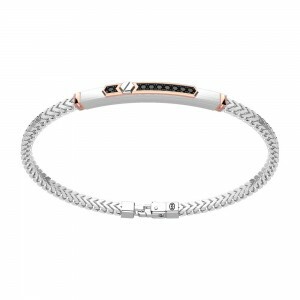 Home > Collections>Alpha>Silver bracelet with rose gold insert and stones. 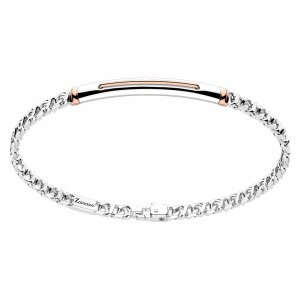 Silver bracelet with rose gold insert and stones. 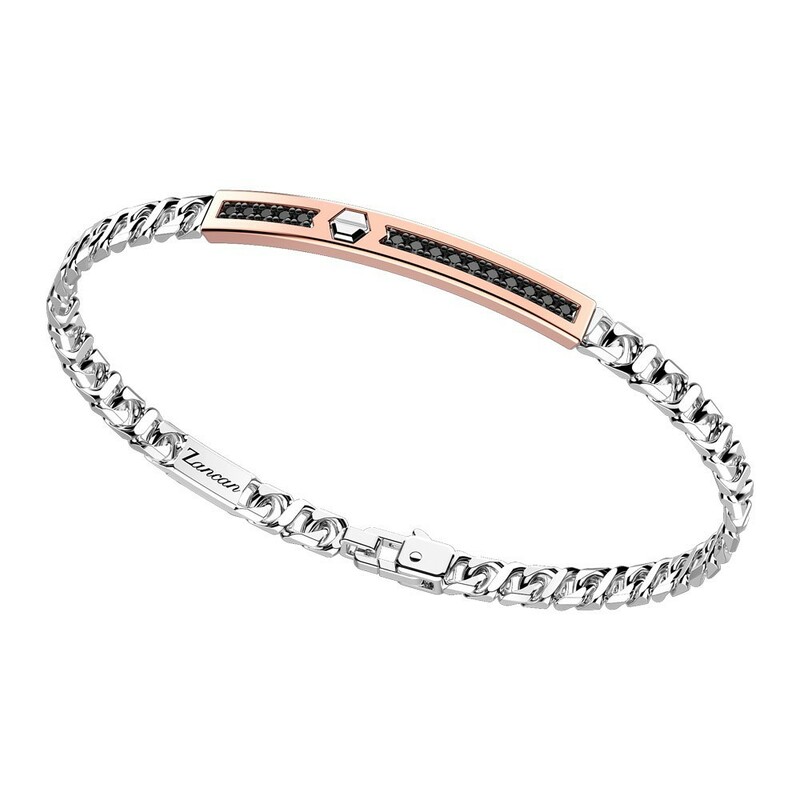 Rose gold insert and black spinels on plaque. 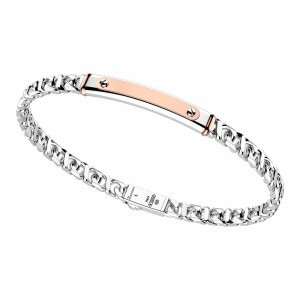 18 kt gold inserts weighing 2,80 gr.